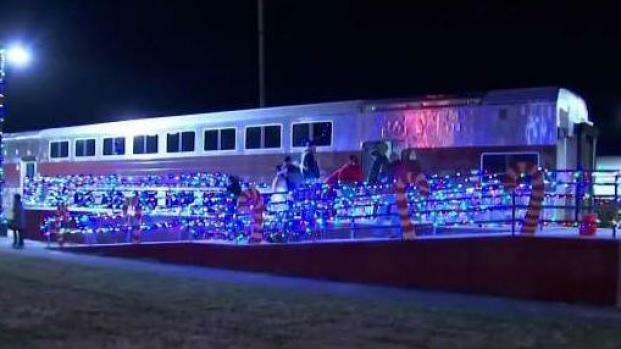 A woman who was killed after they were struck by a holiday-themed train filled with more than 300 passengers has been identified, according to a report. The Boston Globe reports 33-year-old Melissa Gaudette was killed after she and a 36-year-old man were fatally hit by the Cape Cod Central Railroad on Saturday in Wareham, Massachusetts. The two were parents of three children, according to Gaudette's father. The Saturday night fatality was reported just before 7:30 p.m. after the two were trespassing, according to the Plymouth County District Attorney’s Office. Passengers aboard the Polar Express-themed train ride were back in Buzzards Bay after it departed about 30 minutes before. The vehicle was carrying 355 people, including 100 children. No injuries were reported on the train. Investigators say a 33-year-old woman and a 36-year-old man, both from Wareham, were killed in the accident. "We were like, 'Oh, this is really serious,'" said Jordan McCoy, who lives near the train tracks. "We just saw the train right here and then there was police cars over there." 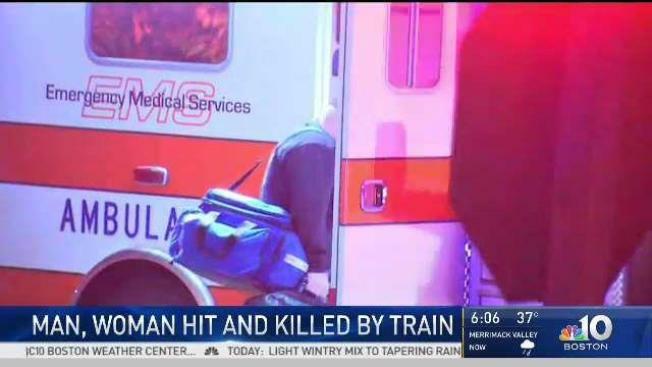 The train's conductor activated the emergency braking system in an attempt to stop the vehicle from hitting the two pedestrians, but it was too late. Cape Cod Rail issued a statement on the incident early Sunday morning, saying the passengers on board were first responders and their families. "Sadly, tragedies such as this could be avoided if people would not trespass on train tracks. No passengers were injured in this incident and the staff did their best to distract the children from the sad reality which was occurring outside," the company's statement read. State police and the Massachusetts Bay Transportation Authority are assisting the Wareham Police Department with the ongoing investigation.